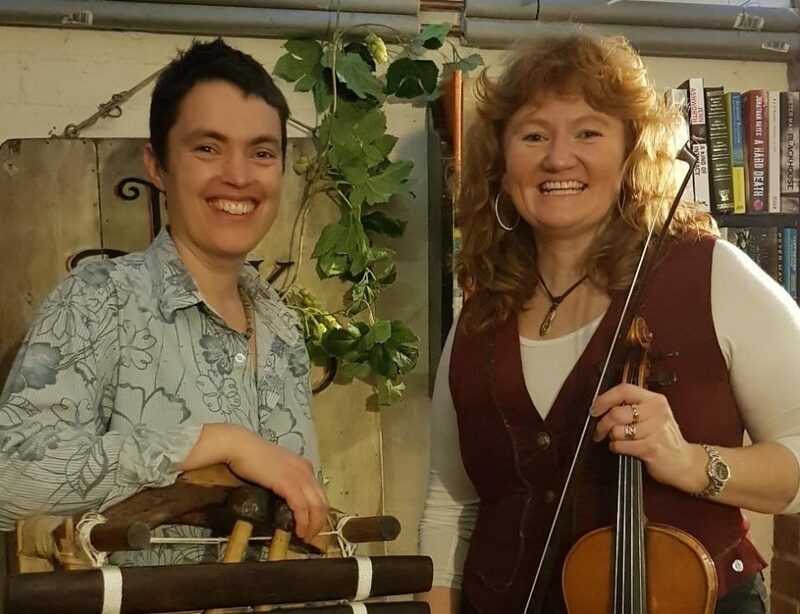 From diverse backgrounds, Jo May and Sarah Matthews bring voice, violin and viola, tenor guitar, balafon and a whole range of other percussion instruments. The beauty of these wooden instruments blend to create intricate delivery of original and traditional material inspired by English songs, European dance tunes, West African rhythms and more. Jo (Against the Grain, Stepling, Token Women) and Sarah (Cupola, Moirai, Cross o’th Hands) will draw you in with lilting, hypnotic, and entrancing music. You can sway, sing or just soak in the sounds.